Hi Nick - your situation sounds very similar to mine. Road bike now under cover in the garage. The CRF250 is set to be the winter ride. Just joined the TRF and looking for local trail rides. How has it been for you so far? I've only had the bike just over a month, just covered 550 miles so far, it goes in on Friday for its first service. Plenty of lanes around your way, heading over towards Alton or the other way over to Salisbury plain (not made it there yet). I ventured over to Devils Punchbowl near Hindhead, some great tracks over there but bit dodgy going it alone. I've not joined a TRF run yet, but now the bike is run in I hope to make some soon! I see you did an offroad course? 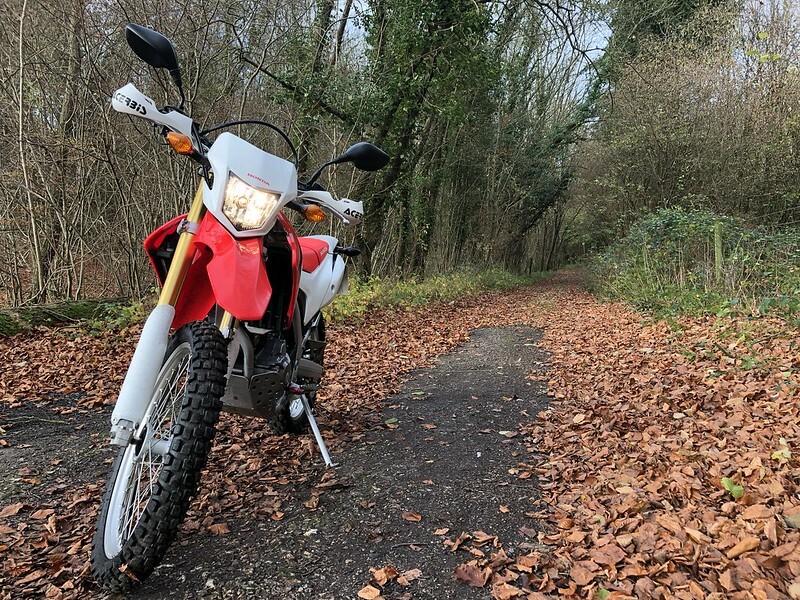 I have been thinking of doing the Honda Experience in Wales, they use the Africa Twin, but I believe you can also use a CRF250. 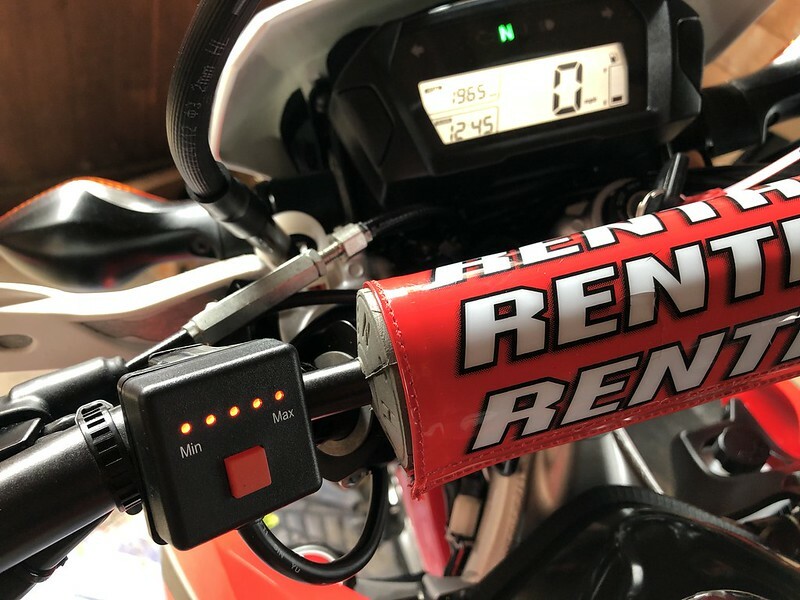 My CRF is being delivered tomorrow evening, so I've less miles than you logged. It's a 2013, so has had some use but it's in good shape for the moment. I've been working out the potential local routes using the interactive Hants map and I'm going to have a mountain bike preview of some of them on Saturday I think. I'm very interested in getting involved in the Bakery run this Christmas that is a day ride around Salisbury plain area. I've also put my name down for the Red Ride 2018 next Easter - a 2 day 250L only guided trail ride in mid-wales. I've done the level 1 BMW off road school in South Wales and also a 250X-based enduro day. Both great. I think that I have a money off leaflet for the Honda Adv days that I picked up at the NEC if you're interested? Where abouts are you Andy? Let me know if you want any help on routes. I am hoping to make the bakery ride out, but won't know until nearer the time. I'm based in Winchester. Thanks for the offer - I've found a few lanes in theory (map research) but I would appreciate any recommendations that you think would be great for a novice! There are some details on the Trail Ride Wales website. http://www.trailrides-wales.com/events.html . It sounds like a really generous thing for them to do and sounds great. I've seen and joined up to that FB group. Thanks for setting it up - looks like it could be useful. Fitted some heated grips this morning and then headed for the local lanes. Was good to be out there. I hadn't planned on taking on the lanes and had only really gone out to test the grips and get some petrol, but it was a nice day and the ground looked dry. I met another rider whilst I was out - it was their first time on green lanes too, and on another CRF.